Get the lowdown on what’s new in Formula One, go back-to-basics with exclusive #F1Insights by our guest writers, and get tips from industry experts from the Formula One fraternity. Got a suggestion on what you’d like to see here? Write to us at info@singaporegp.sg. 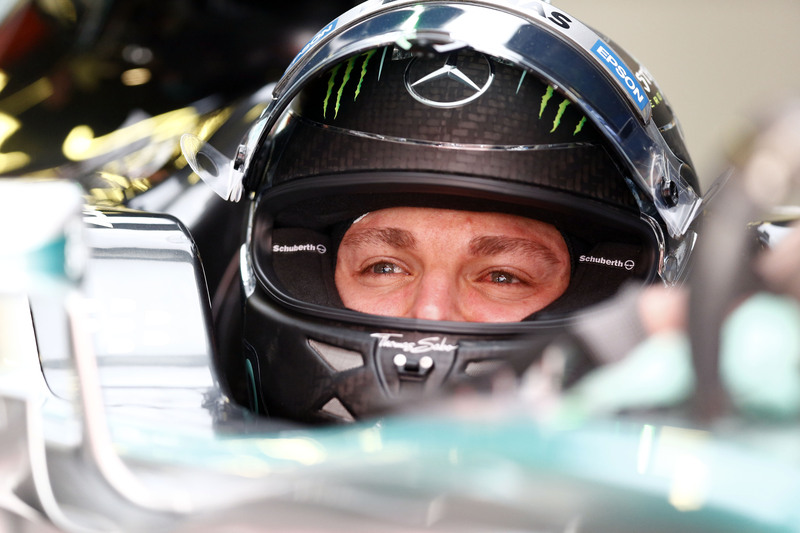 On Sunday afternoon, the Circuit de Catalunya will become the next battleground in Nico Rosberg and Lewis Hamilton’s fight for Silver Arrows supremacy in the 2015 title fight. It was the German who claimed pole position for the first time this year, with Mercedes securing three front row lock-outs in the first five races. Despite hopes that the ever-improving Ferrari would be in a position to challenge the Mercedes pair for pole, in the end Sebastian Vettel was 0.8s down on Rosberg, while teammate Kimi Raikkonen was nearly two seconds off the pole time of 1m24.681s. But Saturday’s times do not mean that the Spanish Grand Prix will be a Mercedes-led procession. With both Hamilton and Rosberg aware of the growing red threat behind, neither driver is likely to make any rash moves at the start. Instead, it will be in the pits that the leading pair will jostle for position, and it will be up to the Mercedes pit wall to determine whether the first choice of pit stop strategy goes to the race leader or the championship leader. Sunday’s warm weather should also set the scene for a tense strategic battle between the faster Mercedes and the light-on-its-tyres Ferrari. Vettel’s Malaysian victory pointed to the stark difference in rubber use between the red and silver cars, and while Barcelona is cooler than Sepang the track is expected to reach temperatures just shy of 50℃ during the grand prix. 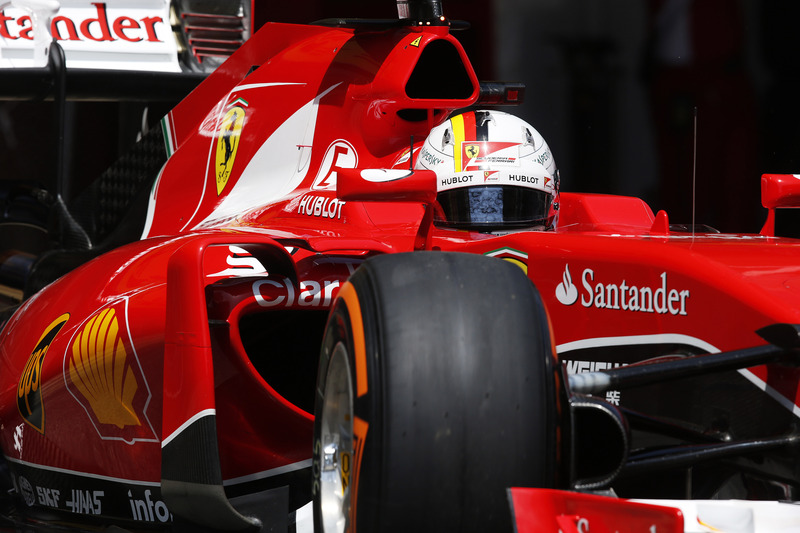 In the closing laps, Vettel will represent a real threat to the Mercedes pair. It will be a disappointing afternoon for those Spanish fans hoping to support Fernando Alonso. Neither he nor McLaren teammate Jenson Button were able to qualify in the top ten, and despite the team’s gradual improvement this season it will take a brave choice of strategy to put either man firmly in a points-paying position. An impressive qualifying performance from Toro Rosso should offer some succour to those looking for a local hero - the team’s third row lock-out sees Spanish rookie Carlos Sainz lining up in fifth place, and if STR can avoid a repeat of Bahrain’s double retirements the Faenza racers are in a strong position to increase their points haul. 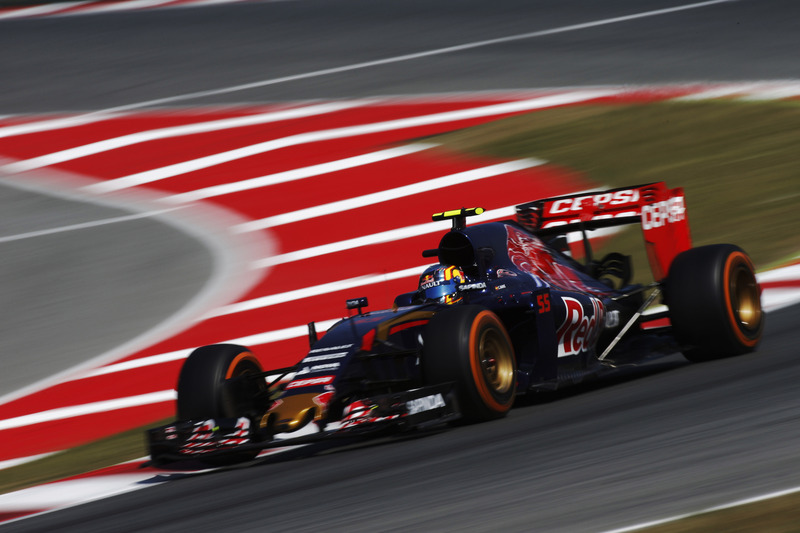 All eyes will be on the Renault-powered cars during the 66 laps of Sunday’s grand prix. The engine manufacturer has made reliability-based improvements to their power unit since the last race in Bahrain, and while the cars have fared well in practice and qualifying sessions it remains to be seen whether the Red Bulls and Toro Rossos will make the chequered flag. Another one to watch will be Wiliams’ Valtteri Bottas, who joins Vettel on the second row and should be a force to be reckoned with on Sunday providing the Finn gets a good start off the line. Working against Bottas, however, is the fact that he is starting on the dirty side of the grid. Saturday’s GP2 race saw those in even-numbered grid slots losing position when the lights went out, and after a series of difficult starts Bottas is vulnerable to falling back into the hands of the Toro Rosso pair and Raikkonen. With slim chance of a Safety Car in Barcelona - only three grands prix have seen them in the past decade - it will take driver error or mechanical failure to cost Mercedes the win. But Hamilton will be starting on the slower side of the grid, giving Vettel an early chance to get ahead of the championship leader and Rosberg the possibility of breathing a little easier. Kate Walker has been covering Formula One since the start of the 2010 season. 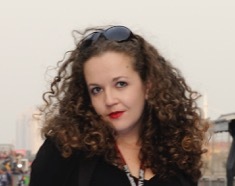 Currently F1 writer for ESPN, motorsport.com, and GP Week, her articles have also appeared in the Financial Times, Grand Prix+, and in the official Formula One™ race programmes.